Some years ago I was working “The World of Concrete” (a giant, international trade show held annually in Las Vegas) for a software company offering a product to the industry. I approached a well-dressed man coming by our booth and asked him if his company would be considering a new ERP (enterprise resource planning) system in the near future. I have never forgotten the conversation that ensued. “No. No. We’re just wrapping up an SAP implementation now,” he replied to my inquiry. That last part really stuck with me. It openly exposed a common bias with which we are (nearly) all afflicted. To bring this closer to home, imagine that you recently made a major purchase—say, a new car or an expensive dining set for your home. However, after a short period of ownership, you have discovered defects or deficiencies that have led to great disappointment. How difficult would it be for you to admit your error, sell what you’ve purchased at a big loss, and take a new direction with your car or furnishings? After all, selling your faux pas means admitting your error in judgment. However, admitting such errors in judgment is typically a very hard thing to do. Standard economic theory tells us that sunk (irrecoverable) costs should be ignored when making decisions, because what has been spent in the past is irrelevant to the future. One cannot un-fry the egg. What we should be considering are only the costs and expenses that are to be incurred going forward. This seems logical, but our churning gut over the money we’d be admitting we have “thrown away” just won’t seem to let us do it. Many supply chain executives and managers continue to incur expenses month-after-month, year-after-year, by spending over and over on unpromising activities that support methods that have long ago proven themselves ineffective. They plan, then re-plan, then spend big dollars month after month supporting a vast array of firefighting and expediting activities patching up the departures from their already expensive plans. The sunk cost bias is more devastating to organizations than most estimate. While it may not lead to the immediate demise of companies and supply chains, it too frequently keeps them mired in mediocrity. Think boldly about what might change—throwing away that “old car” with which you are so disappointed. Then, make the calculations above about your bold plan to change. This should help relieve your sunk cost bias. 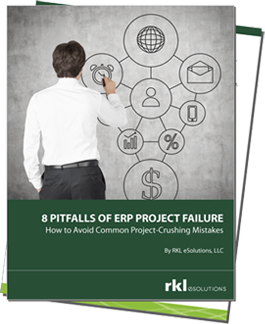 Have you thrown too much money into an ERP system that isn't working for your company? Let us help you get out of the sunk cost trap by switching to a more cost-effective, agile system.